Trouble the Water is a new documentary about Hurricane Katrina and New Orleans. After winning several international awards, it’s now appearing in theaters. 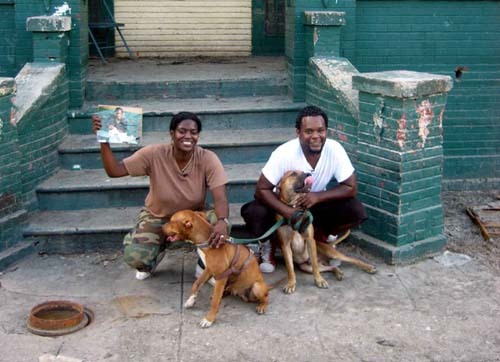 Most of the movie is footage shot by Kimberly Rivers Robert, a resident and native of the city’s Ninth Ward. Robert turned her digital video camera on during the storm’s approach and kept it on through and after the storm. Sparsely interwoven with broadcast news clips and interviews and observations shot by directors Tia Lessin and Carl Deal, the movie is excellent. Kim is also a hip-hop artist, under the moniker Black Kold Madina. You can listen to her song “Trouble the Water” here. Her music appears in the movie. 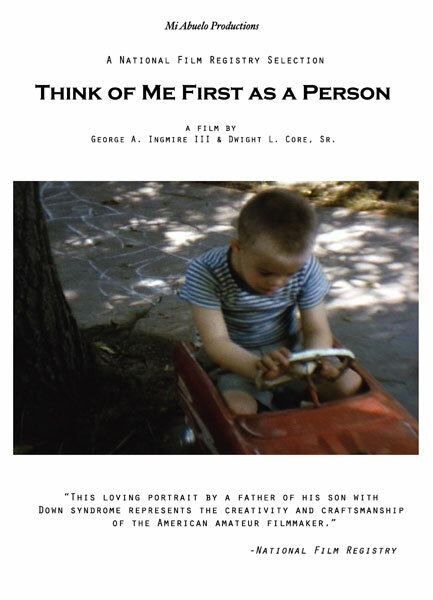 Think of Me First as a Person (the subject of a recent Home & Amateur post), the brilliant amateur film by Dwight Core, Sr. and George Ingmire is now available for purchase on DVD at the low, low price of $14.95. Special features include My Favorite Child – Dwight Core, Jr. 40 years later, directed by Roger Richards (view online version) and commentary by filmmaker George Ingmire, film curator Mike Mashon, archivist and Home Movie Day co-founder Dwight Swanson, and film restorer Tom DeSmet. Our Day, the 1938 Wallace Kelly film named to the National Film Registry last year, is the feature of the latest episode of the show “Louisville Life” on Kentucky Educational Television. The episode includes interviews with Dan Streible of the Orphan Film Symposium (and rediscoverer of the film at the New York City’s 2007 Home Movie Day), along with other champions of Kelly’s career. The most famous news photograph in Iowa history is now a video. 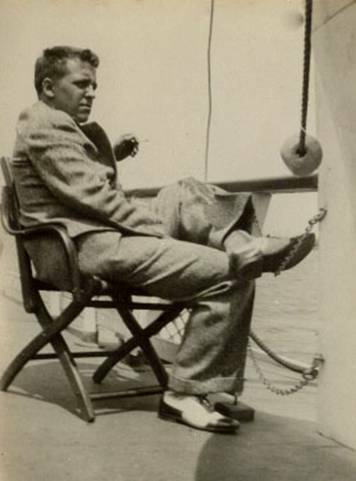 A home movie of photographer Earle “Buddy” Bunker snapping the historic picture surfaced this summer — 65 years later — in a wooden crate stored in a home in the Seattle area. The surprisingly clear color home movie shows “The Homecoming,” an exuberant hug between returning war hero Robert Moore and his daughter. 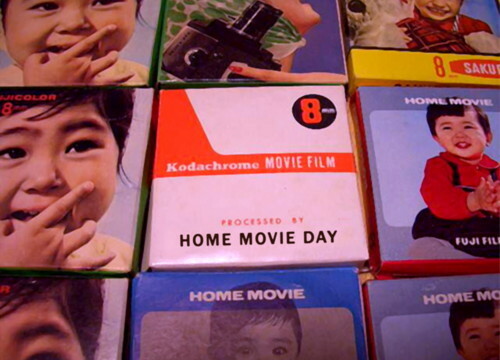 After five years in the dog days of summer, this year Home Movie Day moves to October, just right for sitting around and watching your home movies and the home movies of strangers. Take a look at this ever-growing and impressive list of cities all around the world that will be hosting HMD events. Are you new to the joys of HMD? Here’s some background to what will certainly become your very favorite holiday. Now dig out your 8mm, super 8 and 16mm reels (and 9.5mm and video in some locations) and join in the fun. New Orleans filmmaker George Ingmire sent news this week that his uncle Dwight Core, Jr. passed away on Wednesday. 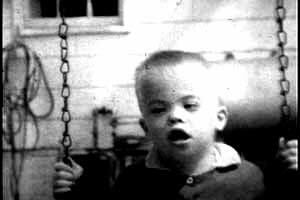 Dwight was the subject, star and heart of “Think of Me First as a Person,” a home movie that was first screened publicly at the 2006 New Orleans Home Movie Day event organized by the late Helen Hill. The original 16mm reel was rediscovered in Dwight, Sr.’s film collection by Ingmire, his grandson. George then finished the film by combining the film and it’s separate narration which was found on a VHS tape in the collection. Earlier this year a 35mm version of the film was painstakingly created from the original elements. It is now at the Library of Congress, so will be able to be seen more widely, along with the DVD version that will be for sale very soon. This article was published this week in Dwight’s local paper (in addition to this obituary) and includes a link to a video story that was produced last year.